We partner closely with a number of key EU-funded stem cell projects, supporting their dissemination actions and coordinating efforts to engage with the public about our science. They provide a combination of financial, scientific and in-kind support to EuroStemCell. INTENS: INtestinal Tissue ENgineering Solution is a 5-year EU funded project which brings together 9 international partners; leaders in the field of intestinal regenerative medicine. The overall aim of INTENS is to deliver a functional bowel reconstruction to patients with intestinal failure through an autologous tissue engineering strategy, overcoming the shortage of transplantable organs, and avoiding the need for immunosuppression. It will be achieved by identifying the best autologous cell source, the ideal scaffold, and optimum bioreactor conditions necessary to generate a functional intestine for transplantation. The aim is to generate functional intestinal tissue for clinical transplantation by 2020. Neurostemcellrepair (European stem cell consortium for neural cell replacement, reprogramming and functional brain repair) was formed to create a world-leading consortium that aims at taking human stem cells through the final steps toward clinical application in cell replacement therapy. 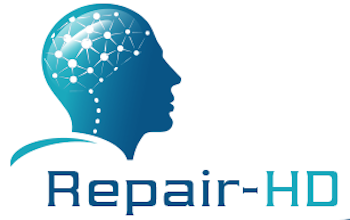 Neurostemcellrepair is expected to close the gap between development and clinical implementation of stem cell replacement therapies for Parkinson’s Disease (PD) and make significant advance towards stem cell therapy in Huntington’s Disease (HD). The 4-year FP7 project funded by the European Union (under grant agreement No 602278) brings together leading European stem cell-research groups and industrial partners in a coordinated and collaborative effort which comprises 8 academic partners, 3 SMEs and 1 Research Enterprise from 4 European Countries. Over the last decade, several groups have obtained neuronal cells from different stem cells sources in a culture dish. More recently work conducted by Neurostemcell optimised new protocols that can generate the authentic neurons that die in PD and HD. Neurostemcellrepair is now gearing up to refine the neurons under conditions that would be suitable for clinical use especially for PD. The process involves careful adaptations in cell manufacturing, scale up and safety testing. PluriMes is a consortium of 10 European partners have been awarded €6million by the European Commission for a research and development project focused on directing stem cells to become bone and muscle. The project combines the expertise of ten academic and two industrial partners to bring together stem cell experts, genetic engineers, developmental biologists, cell therapy pioneers, bioengineers and specialist SMEs in a cross-disciplinary collaborative effort. PluriMes is supported through the European Commission’s Framework 7 HEALTH research programme and Coordinated by Professor Austin Smith from the Wellcome Trust – Medical Research Council Cambridge Stem Cell Institute at the University of Cambridge. PluriMes has received funding from the European Union’s Seventh Framework Programme for research, technological development and demonstration under grant agreement No . ThymiStem is the European Consortium for Development of Stem Cell-Based Therapy for Thymic Regeneration. Nine research teams from seven countries are working towards stem cell therapies that can boost the immune system by repairing the thymus, an essential organ of the immune system. Nine research teams from seven countries have joined forces in ThymiStem. Its members are based in the UK, Spain, Croatia, Ukraine, Turkey, the Czech Republic and the USA. Consisting of a mix of stem cell biologists, immunologists, genetic engineers, tissue engineers and cell banking experts they have the skills to make progress towards new medical treatments. ThymiStem has received funding from the European Union’s Seventh Programme for research, technological development and demonstration under grant agreement No . MEsenchymal stem cells to Reduce Liver INflammation (MERLIN) is a four year project that will bring leading European researchers in stem cells and liver disease together with global industrial partners to look at new ways to treat liver disease with stem cells. MERLIN will specifically focus on primary sclerosing cholangitis (PSC), an inflammatory liver disease currently without effective treatments, but will also generate new knowledge that is more widely applicable to stem cell therapy in general. MERLIN has received funding from the European Union’s Seventh Framework Programme for research, technological development and demonstration under grant agreement No . The HumEn project brings together six leading European stem cell-research groups and three industrial partners in a coordinated and collaborative effort aimed at developing glucose-responsive, insulin-producing beta cells for future cell-replacement therapy in diabetes. The HumEn project is supported through the European Commission’s HEALTH research programme and headed by Professor Henrik Semb from the Danish Stem Cell Center (DanStem) at the University of Copenhagen, strengthens the future perspectives for cell based treatment of diabetes. The HumEn project - Upscaling human insulin-producing beta cell production by efficient differentiation and expansion of endoderm progenitors - has received funding from the European Union’s Seventh Programme for research, technological development and demonstration under grant agreement No . technological development and demonstration under grant agreement No . REDDSTAR, Repair of Diabetic Damage by Stromal Cell Administration, is an EU funded project which will develop and test bone marrow derived stromal cell therapy to treat diabetes mellitus. The objective is to control blood glucose while also addressing a range of six diabetic complications. The REDDSTAR project has received funding from the European Union’s Seventh Framework Programme for research, technological development and demonstration under grant agreement No . 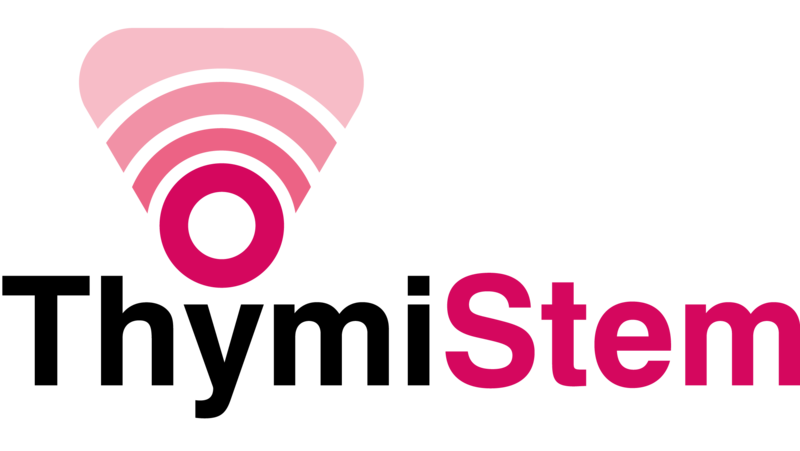 STELLAR is a research consortium consisting of European and Australian researchers interested in developing an alternative to renal replacement therapy. The STELLAR consortium will make use of newly discovered kidney mesenchymal stromal cells that have the potential to regenerate and repair damaged tissue. STELLAR is a research consortium financed under the 7th Framework Programme of the European commission under grant agreement No . STELLAR was initiated on 1 November 2012 with a project duration of 5 years. The VISICORT (Adverse Immune Signatures and their Prevention in Corneal Transplantation) project is focussed on understanding adverse immune responses to corneal transplantation. The final year of the project will involve a clinical trial using stem cells to modify the immune response to transplantation with the aim of improving outcomes for transplant recipients. VISICORT will also partner with Reellife Science, a novel Science Communication video competition for Irish primary and secondary schools and the first of its kind in Ireland, to promote Science to a wider audience. Students submit a short (1-3 minute) video communicating one of the listed scientific topics - in 2014 VISICORT will support inclusion of the topic of “Vision”. The VISICORT project has received funding from the European Union’s Seventh Framework Programme for research, technological development and demonstration under grant agreement No .